As regular readers know (and some former readers, who left as a result), I post plenty of material on food, the implications of eating meat, and the idea that giving meat up is the single most powerful choice an individual can make when it comes to the health of the planet, the health of humans, and the welfare of billions of animals. So here is Maria’s list of films that can change the way we eat. Feel free to add your own favorites (Earthings–if you dare!–anyone?) in the comments. I would also recommend “A Peaceable Kingdom,” a very moving film about what it means to give animals the lives they deserve, as well as “The Ghosts In Our Machine,” about photographer Jo-Anne McArthur‘s quest to capture what it truly means to turn animals into human commodities. Factory farming, and its far reaching effects on both the environment and the public health of American citizens, is one of the most important issues of our time. Gone are the days of the small independent farm where animals have all the space they need to roam. Instead, farming has been turned into a corporate operation that continually sacrifices ethics for profits. Below are five documentaries that expose the truth about factory farms and other aspects of modern farming that need to change – now. This 2008 film, directed by Emmy award-winning filmmaker Robert Kenner, looks at the many dark sides of corporate farming in America. The first part of the film exposes the awful living conditions of chickens, cows, and pigs on factory farms. Food, Inc. is effective because it changes people perspective on meat from an object bought at a supermarket to a living thing. This may make viewers apply a different set of ethics when purchasing their meat and has already sparked several companies to be more transparent with how their meat is produced. 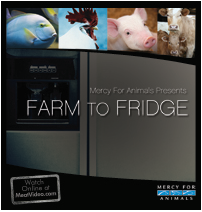 Farm to Fridge, a documentary made by Mercy for Animals in 2011, provides undercover footage of animal cruelty at some of the nation’s largest factory farms. Although it is only 12 minutes long, its graphic footage leaves a lasting impression. Some of the worst footage shows male chickens being grounded up while still alive. Other scenes show dairy cows being physically abused by workers. This graphic style of filmmaking has been a big contributor in the 100% vegan diet movement that is growing steadily in America. It certainly leaves a lasting impression – find it here on YouTube. 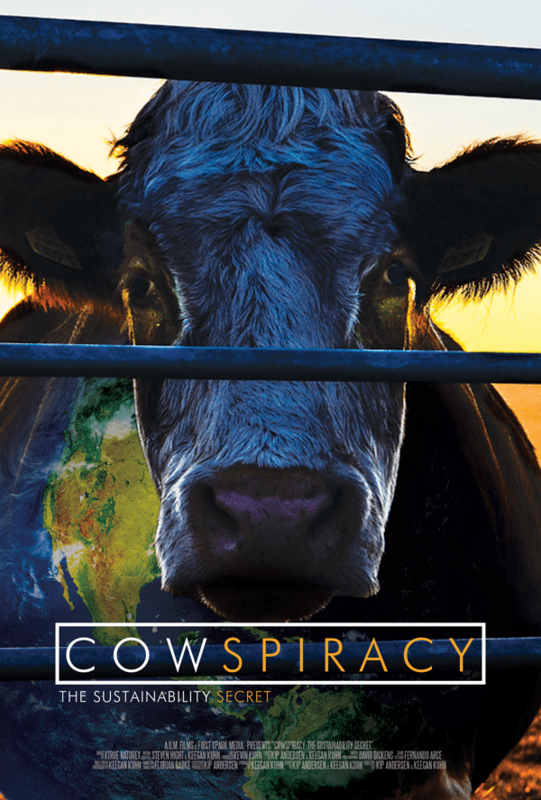 Cowspiracy exposes how Big Meat is the number one destroyer of the environment through the use of unsustainable farming practices. It discusses impacts most people don’t associate with agriculture, such as deforestation, greenhouse gas emissions from food transportation and slaughter factories, and the long-term harm most pesticides have on the environment. It also shows just how much political red tape surrounds the problem by including interviews with industry whistleblowers, in which the whistleblowers discuss various threats against their career and life for spilling industry secrets. 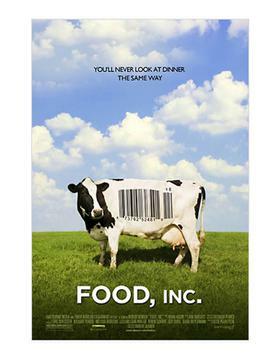 This film makes viewers realize that there is a business behind their food and how these businesses have complete disregard for the health of their customers and the planet. Indigestible is a 90 minute film that exposes the hidden costs of providing cheap meat to consumers. It breaks down the illusion most people have of the small-time farmer showing his animals tender love and care each day, and exposes viewers to the realities of factory farming. Once people see how our food is confined to tiny spaces similar to a prison and treated as raw materials to be converted into product rather than a living organism. Like Food Inc, it changes the way people view the production of their meat by putting the face of a living animal to the process. You can find clips of the full film here on YouTube. This heartbreaking documentary is one chicken-farmer-turned-whistleblower’s story on how the corporate chicken industry exploits its farmers to maximize their profits. He compares being a chicken farmer for a corporate farming company to being a sharecropper. The farmer just works the farm. The corporation owns all of the chickens and equipment and decides how these chickens are treated (cruelly). The film also shows how the number of chicken farmers have shrunk from over a million in 1950 to just 30,000 today, with 54% of them contracted by the same company. This documentary from Fusion filmmakers and DirecTV and makes viewers realize how their fellow Americans are also exploited in order to bring meat to their plates. The one underlying theme that links these five documentaries is they outline severe problems within our food industry that must be changed if we are expected to survive as a species long-term. Films like these prove documentaries have the power to not only raise awareness, but inspire widespread positive change. What do they know–all these scholars, all these philosophers, all the leaders of the world–about such as you? They have convinced themselves that man, the worst transgressor of all the species, is the crown of creation. All other creatures were created merely to provide him with food, pelts, to be tormented, exterminated. In relation to them, all people are Nazis; for the animals it is an eternal Treblinka. Thanks for posting. I should watch more of these!